The taste wasn’t strong like other Iron Supplements, I’m not an active vitamin or supplement taker since I have very sensitive taste tolerance, but with this liquid Iron Supplement changed my opinion on taking vitamins and other essential supplements. easy to use gentle taste no upset stomach clean ingredients i feel good about performed as the ideal supplement - namely that i didn’t taste it! I mixed it in with some juice. That made it so much more Easier for me to get it "down". It is a Great alternative for those who do not like taking pills. I was suffering from anemia and fatigue so I was looking forward to receiving this product. It worked so well. I got my energy levels back up. The only thing I disliked was the flavor so I always had to mix it in my orange juice. 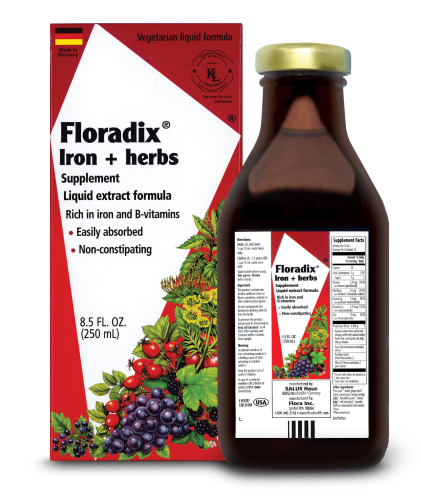 I was happy to try Floradix® Iron + Herbs. This liquid iron supplement is like a treat, easy to take and tastes great. No unpleasant aftertaste after taking it. Would recommend.